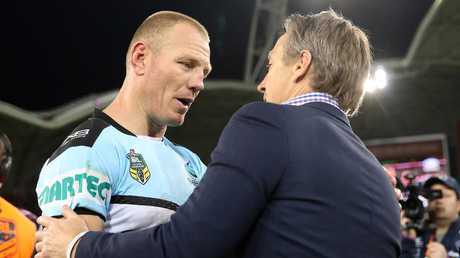 CRONULLA'S Luke Lewis has leapt to the defence of Billy Slater, implying the game's gone soft if the Melbourne superstar is banned for his farewell NRL grand final. 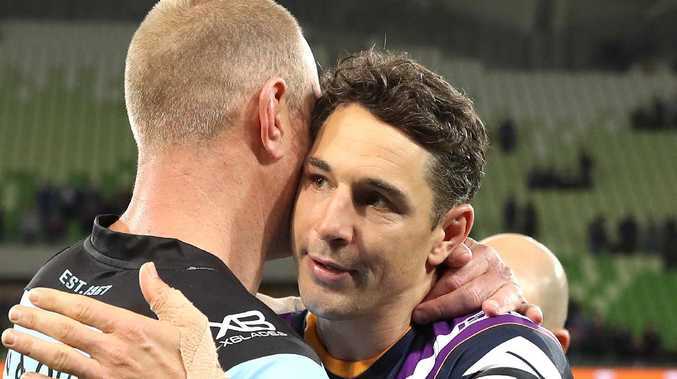 Slater faces a nervous wait on Saturday to see if he is sanctioned for a shoulder charge on Sosaia Feki, after he was penalised for throwing his body at the Sharks winger to save a try in Storm's 22-6 preliminary final win. 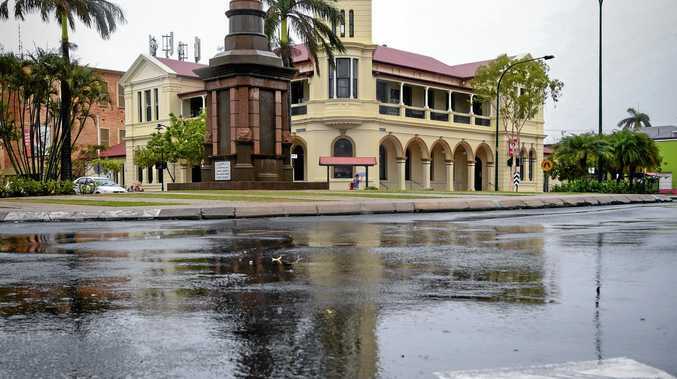 A charge would attract 200 demerit points, enough to rule him out of next Sunday's decider against South Sydney or the Sydney Roosters. The former Kangaroos and Queensland fullback would need to successfully fight the punishment at the NRL judiciary to have any hope of ending his career in the ANZ stadium showpiece. But Lewis was adamant his former Australia teammate shouldn't face any time on the sidelines for the offence. "I don't think there was anything in it, to be honest. If there's anyone I want see play on grand final day, it's Billy Slater." Lewis and Slater remain close from their time together in Kangaroos camps, and both came into Friday's game with the potential of it being their last if their team lost - given their impending retirements. Slater said after the match he wasn't concerned that he would be charged over the tackle. He was also backed by coach Craig Bellamy, who hadn't seen replays when quizzed after the match. "I didn't think straight away that I'm worried about that," Bellamy said. "I didn't think there was too much in it from that." "But having said that I haven't suffered it closely." If Slater was to be charged, he would follow in the footsteps of captain Cameron Smith, who missed the 2008 grand final due to a suspension.